Rules and regulations about land and building have a major effect on access to housing. Our advocacy approach is based on decades of on-the-ground experience and policy expertise. In our deep understanding of housing and its role in providing opportunities for families, we seek to reform laws in a non-confrontational, nonpartisan way. Just like building, advocating for smart policies and systems is a way to create a world where everyone has a decent place to live. Smart policies and systems can promote access to decent housing, while other policies and systems may create unnecessary barriers. These barriers make it harder than it needs to be to find land for construction, build the home itself or be able to afford a place to live. Around the world, Habitat has built more than 130 homes in the Capital District and there is no question that our work has made an impact. But as powerful as that has been, one out of five people around the world are still in need of safe, healthy and affordable housing.  Through advocacy, we can all exponentially increase access to decent, affordable housing. Advocating on behalf of those living in poor conditions is a priority for Habitat. We wholeheartedly believe that a decent place to live can remove barriers to opportunity, success and health that might have been part of a family’s life for years, if not generations. All of the key federal programs that support our nationwide work are in danger of being eliminated by the proposed fiscal year 2018 budget. Take action to urge Congress to support funding for these essential programs.